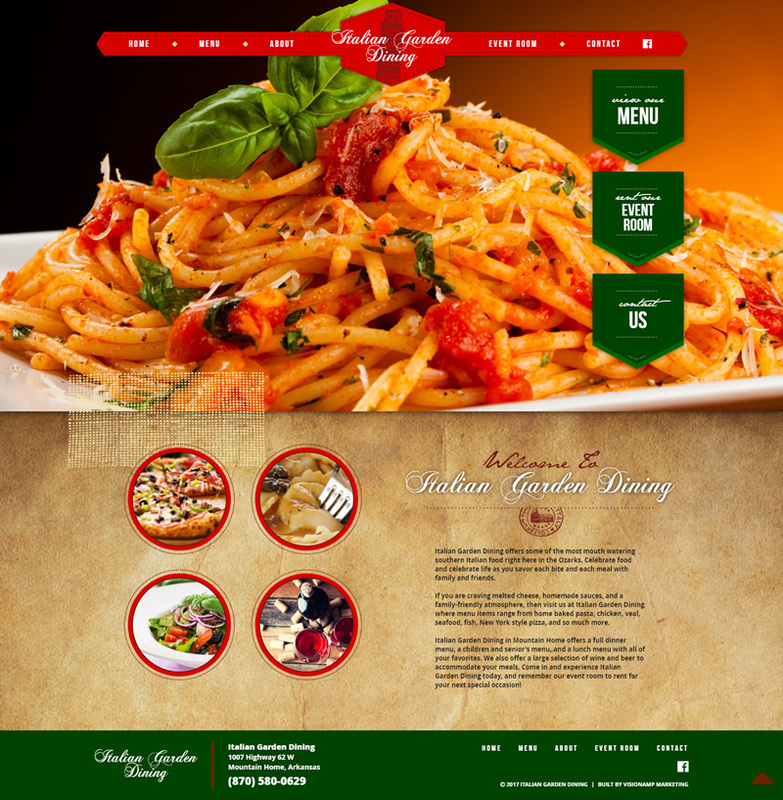 We created a brand new website for Italian Garden Dining. The new website is responsive and mobile-friendly so that people on the go can look at the menu on their phone or tablet. We also created simple and clear call-to-action buttons with an overall red, white, and green color scheme. Italian Garden Dining offers southern Italian food right here in the Ozarks in Mountain Home, Arkansas. They offer a full dinner menu, a children and senior's menu, and a lunch menu with all of your favorites. They also have an event room to rent for special occasions.